Where is the Sport of Bowling Going? I recently read John Jowdy’s article “Are Modern Drilling Methods Technically Illegal?” in the September 2011 issue of Bowling This Month. 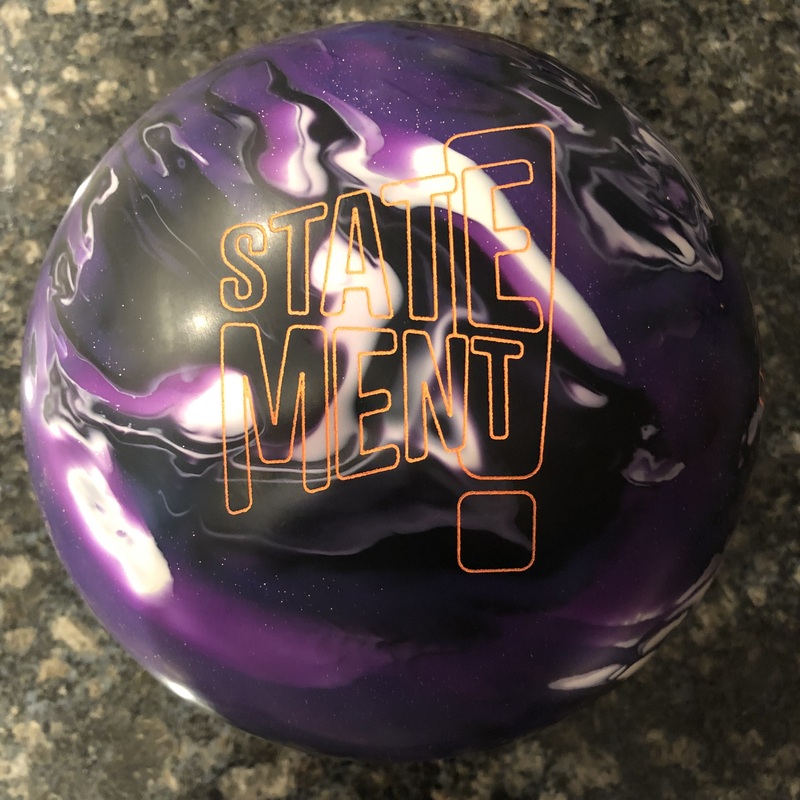 Mr Jowdy offers his opinion around today’s bowling ball technology and brings in a few bowling notables who wax poetic about where the sport has gone and where it used to be. With all due respect to Mr. Jowdy and his fellow experts, this is one of the most self-righteous articles I’ve read in some time. I guess everyone has the right to voice their opinion. Here’s my disclaimer; this is my opinion on the subject. Mr. Jowdy and his colleagues go on and on about how what I personally call the “art of bowling technology” has intentionally gone against the sport’s fairness and integrity. The way I read it, they put substantial blame on modern core dynamics for destroying the integrity of the game. They go as far as saying that the modern bowling ball and drilling techniques are illegal. Now I don’t want to wax poetic myself, but where do we go as a sport when half the bowlers are pining for the good old days of “core-less” rubber balls and lacquered lanes and the other half have no interest in the discussion at all? I won’t use this as a platform to say where the sport is headed, etc. Rather I would like to simply voice a contrary opinion and maybe put a positive spin on technological advancement. Most sports have decidedly advanced over the years. Take tennis for example. The balls have changed to some degree but the racquets have advanced substantially. Without discussing too much about the athlete’s physical advancement, we can never really compare Rod Laver’s era of wooden racquets and grass/clay surfaces with Roger Federer’s era of exotic metals and fast hard courts. Back in the day, a tennis player was a wiz if he was hitting 120 mph serve. Today, even the “small” guys hit 130. Does that mean tennis is crap? No. It just means the nuances of the sport have changed. All the athletes can do is adapt to the game as it changes. Look at golf. The new clubs and athletes are whacking golf balls 300+ yards in their sleep. Now what? You still have be accurate and know how to putt. I mean do you really want to go back to your grandfather’s sport? As for bowling, the game used to be simple, yet difficult. I’m sure many would agree there was a certain elegance to the game as it was. Today, it’s more complicated and less difficult. When I compare the simplicity of old vs the complexity of today, I am referring to the many additional factors added in the last 30 years or so. Bowling ball “cores” were not meant to do anything but ensure the ball is of specified weight. Today, there are fancy Computer-Aided Designed cores meant to act as internal whips, pulling and pushing the ball as they rotate off their axis. The covers are variable as well, with surface changes really being a multiplier when it comes to options. All this adds up to infinite options when it comes to overall ball reaction. The new bowling balls and consistent lane patterns being laid out have increased scores and equalized the bowlers a bit. 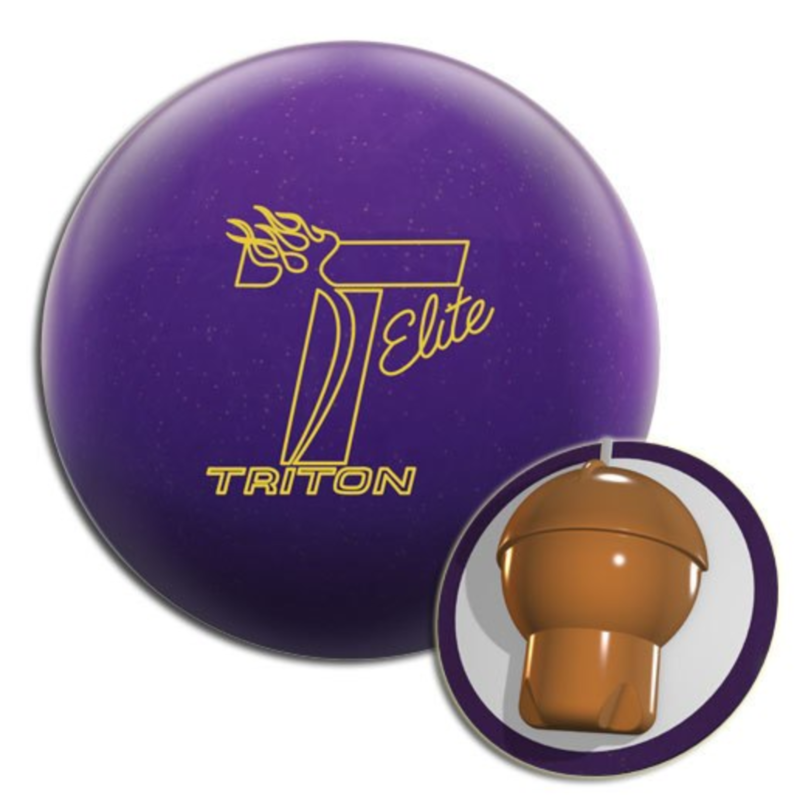 Strokers now benefit from stronger bowling balls, while taking advantage of their accuracy. Tweeners benefit from having a good match between rev rate and ball speed, which allows them to have some versatility. 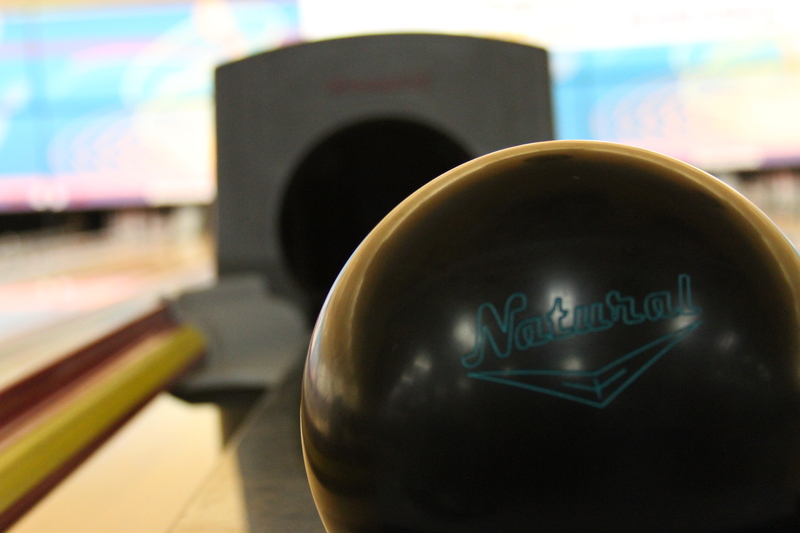 Crankers benefit from being able to physically overpower the lanes when need be. So what? Despite margin for error increasing, learn how to be accurate and consistent and you can compete with the best of them. Everybody is getting the ball to the pocket, but not everyone is averaging 240. 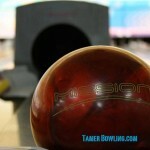 The added “complexity” requires that a bowler understand the nuances to ensure they have the best carry possible. It’s this lack of understanding that is the difference between 240 and 220. The beauty of our scoring system is that it is essentially logarithmic in scale. That means that it takes a lot more work to receive further reward as you approach 300. In other words, it’s much harder to go from 220 to 235 than it is to go from 150 to 190. Once you reach a certain level, you need to understand quite a bit about which equipment will have the best carry at that particular time to carry even one more time. Now we’re talking moving that 215 game to a 225. Par may have gone up from 200 to 220 in many houses but guess what? You better be pretty accurate to get to 230 or 240. So if 200 is no longer a par goal, go for more. 235 is more elusive than you may think. A small advancement in the game doesn’t bring you tons of points. But wouldn’t you know it, figure out how to carry one more strike a game and you will gain 10 pins. Look for the refinement and subtlety. Most balls will funnel to the pocket, but you will need to understand the dynamics to ensure you have the one that carries. 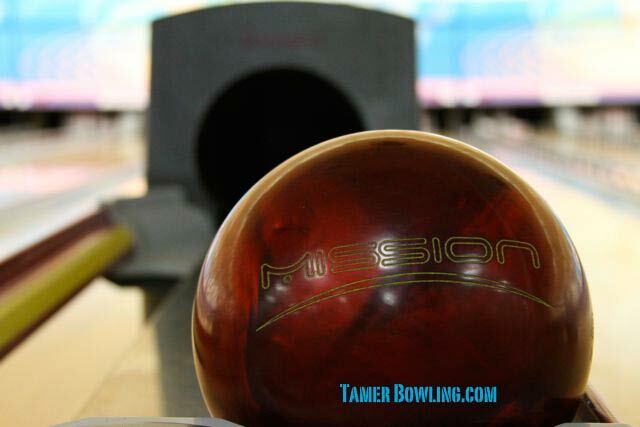 To look ahead, we just need to focus on what works in the modern game of bowling, not dream of days gone by. The game can have as much integrity as it ever did. We just need to set the bar higher. I’d like to feel like I’m still playing a great sport. Rather than wish the game played the way it used to in Earl Anthony’s day, let’s celebrate how Norm Duke has been able to take his game and keep himself in the top echelon even in “today’s” game. I love seeing the Norms and Walter Rays still out there over several decades, proving that there are still fundamentals that are key to success in our sport. It will serve to ensure the young guys realize they still have to be accurate and consistent to win anything at the top level. The goal is still the same in all these sports. How we go about achieving success may have changed. Let’s embrace it! Your observations and perspectives are refreshing. Your comments hit the nail on the head. If more bowlers would speak up with similar positive conclusions, the future of our sport would be a lot brighter. But articles like the one you cite are more prolific and getting an unbalanced amount of attention. There’s an obvious paucity of articles that express a positive counter-spin, so to speak. It’s odd that ball manufacturers’, in their advertisements, are the only ones touting bowling technology advancements with any degree of excitement. To put it bluntly, the old guard wants bowling’s future to go backwards, and this is the big problem. Past heros can be honored. Advancements don’t diminish their achievements. Bowling’s future needs a big red arrow pointing forward with genuine enthusiasm, not all this negativity. Better balls and lanes have ruined the sport? Come on! What bowling really needs is fresh leadership with a positive attitude. If all the good and great in bowling is really in the past, the USBC ought to fully embrace a (re)development of rubber ball leagues. But don’t make this a serious suggestion, because they’re likely to take it up. Very well said RM. Sometimes I wonder if I’m alone in the enthusiasm for the sport and its future success. I for one don’t want to use a wooden racquet to play tennis again and I see no reason to wish that bowling reverts. I think we’ve reached a quite advanced level of technology for bowling so it’s time for people of prominence to start to figure out how we will strengthen the sport, not bash it. Hammer’s site concerning the subject is . Their assumption seems to be that the cause of declining numbers is “high scores”, which I think is simplified Hog Wash.
Oops! Where did the site go? Q: 3 out of 4 sanctioned league bowlers have quit the game over the past 30 years! Why? What happened? Q: What’s the biggest difference between bowling’s glory years and today’s game? Q: What’s the biggest change in bowling over the past 10 years that REALLY MATTERED? Q: What’s the most bogus “smoke-and-mirrors” thing people try to sell about bowling balls? Q: What matters most about the sport of bowling? Q: What do we need to save bowling from? You know, I tried to think back in recent memory about my fellow league bowlers to cross-check all the comments about high scoring and easy conditions driving people away. There were a lot of decent bowlers, some very good, some good enough. Then I thought about who bowled in the summer PBAx league. It seemed to always be the lower averaging guys trying to learn something. The 230+ bowlers rarely bowled there and when they did and bowled a 160, they quit. Now to me this is an argument that high scores are holding on to bowlers, not losing them. What I mean is that these top house bowlers don’t like to be shown up on a more competitive shot by a 210 bowler. The concern I have is that if houses instantly started putting out difficult shots, that may also trigger a demise of the “house hacks” which are making up a good bit of league bowlers these days. I don’t want to generalize, but the additional risk is to lose maybe another 30% of league bowlers. If proprietors really felt putting out difficult shots would increase business, they would do it in a heartbeart. Off the cuff, it seems to me that the notion of tiered play where we start actually controlling patterns to allow for varying difficulties might be interesting. This would allow averages in varying difficulties to be more comparably understood. This way, having a 200 average on a Sport Kegel shot vs 210 on a Challenge shot vs a 230 on a Recreational shot actually has some meaning. Then the accomplishment can actually be recognized for what it is. I think controlling patterns in such a manner will actually give more credence to competitive bowling. It can actually be a type of feeder program intuitively. In other words, if you can reach 210 on a sport Kegel shot, you are likely to be able to compete in tournaments. You can also challenge yourself by starting on a recreational shot, and then working your way up to more difficult shots. This would replace today’s farce where a 235 bowler in a super easy house gets completely embarrassed when competing in a tournament. That shock and invalidation will inevitably drive bowlers out of the sport. People invariably do not like to be embarrassed. Humbled maybe, but not shown up. Having more “people bowling” is good for exposure, but we need to get more “bowlers” to better the sport. Great rebutal on the Jowdy article. I have been rattling on about this for quite some time coming from a bowling family. Better fit, drilling techniques and equipment not withstanding. There are a lot of families investing in great coaching for the up and commers. 30 years past who heard of the power slot and increasing your rev rate. Spare balls…less missed corners boost averages…anyone paying attention? Better lane maintenance and oil pattern distribution. And lastly better conditioning of most bowlers, the serious athletes, are able to execute better and enjoying longer careers. the progressives and allow the Sport to evolve with out harsh judgement. Theres many more examples of technology in todays sports that will go unmentioned to keep this brief but no one wants to tune in and watch someone perform poorly…time will tell. Thanks for your comments. Good to see you on here. I can only agree. It’s funny how the game can still come full circle. I do believe there is a point of diminishing returns when it comes to technology so to spend so much time on blaming it for the woes of the game just doesn’t make sense to me. 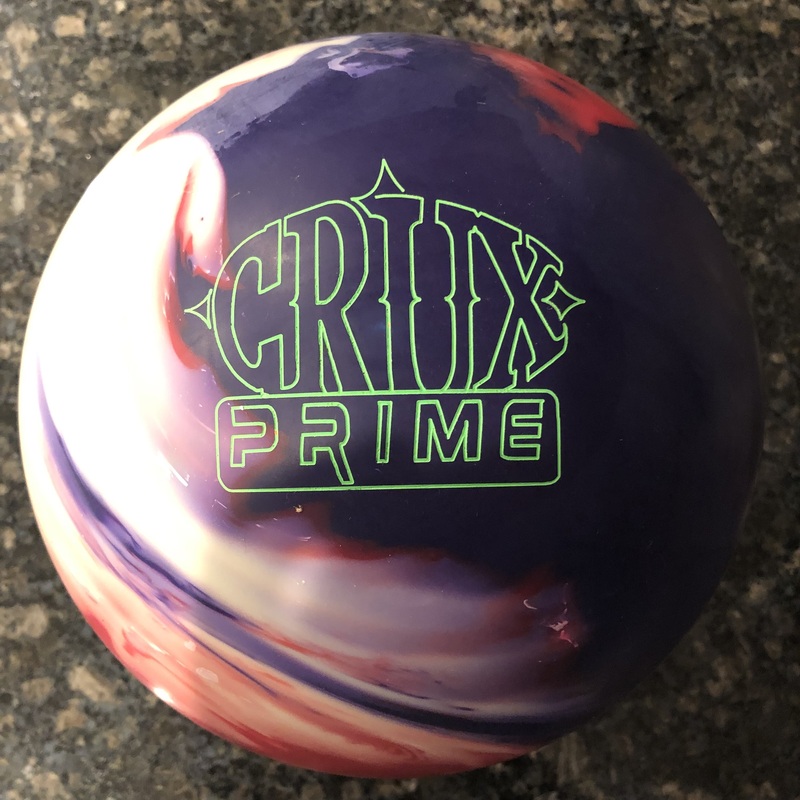 If you watched one the PBA shows last season where Osku and Belmonte (the 2-handed bowlers on tour) were on, they had to drop down to using urethane balls to keep them on the lanes. So when the rev rate gets up to 600+, technology seems to actually hurt… That’s why I think technology is somewhat of an equalizer. Lower rev rate bowlers can get in the action with the heavier hitting equipment while the high rev rate bowlers are benefitting from their own increased hitting power and feeder patterns. I’ve said it many times, if I can bowl like Norm Duke, I would do it in a heartbeat. For Norm, it’s not about rev rate. In my estimation, he is the best player in the last few years because he understands the modern game and is a master at the subtle adjustments. I believe the modern game has added complexity, despite the higher scores. While some think that brute force and high scores have changed the game, it is still in the hands of the masters like Norm. I think there’s still life in this sport yet! I think modern bowling balls have somewhat ruined the game! Should people that have not learned the proper way to release the ball have all the hitting power in the world? There are fundamentals in the game and when tecnhnology trumps good release fundamentals what kinda sport do you have? The bowling balls and house lane conditions make fundamentals less important and that’s a problem! Now thats not even considering that the modern covers destroy the patterns making the need for more and more oil on the lanes! Hi Michael, Thanks for your comments. I respect your opinion but have to disagree with the high level assessment. Tennis racquet and golf club technology have also advanced substantially. Would you say technology has destroyed those sports. Technology happens. The question is how did the sport respond. I believe it is still critical to understand the fundamentals of the game. I can agree that the house pattern has a unique way of “dumbing down” the game, which is different from many other sports. However, if it was such an easy game, then why does everybody not average 240? We know the modern ball has increased carry and house patterns have increased the room bowlers have but in the end, put them all on the same pattern bowling scratch and I guarantee you the cream will still rise to the top. The fact that no bowlers want to bowl scratch I would say is more problematic and emblematic of the sport’s condition. I say give us whatever technology that comes along and put out whatever pattern. However, competition can still be had and the game will be more about the subtleties. Put the top bowlers in competition, even in your local league, and you will see the need, not only for some accuracy, but consistency and understanding how best to carry to maintain that 230+ game after game. The “fundamentals” from the past are not exactly the same as they are today. We use to be taught to “lift” on the ball. Now with the modern resin balls and game, lift is NOT what we want. So technology has even evolved the fundamentals. No doubt, there are issues. But I believe the sport needs to figure out how to cope and advance with the technology, not blame it for it’s loss of popularity. You would think if the game was so easy and spectacular, the technology would actually bring more bowlers to the game. Technology has to hurt bowling when it lets people with bad fundamentals get as much hitting power as it does. I dont know much about golf but i would think that if you went out and bought the most expensive set of clubs it wouldn’t make you up your scores go up as much as what bowling balls do. The reason i think less people bowl scratch events are the huge gap between the fringe player and the good scratch player now. The really good players in my area mostly have ball contracts and they don’t run pro shops either if you catch my drift. Now lets say that the fringe player can repeat shots on the level of the good scratch player but yet the fringe player gets crushed because he can’t afford the arsonal it takes to compete. So i believe that bowling has priced itself out of it’s demographics. I know for a fact that having the right ball is a must to compete and that is far removed from the days of everyone rolling a blue hammer and having to repeat shot better than the next guy. The funny thing is you can repeat shots all you want but if the ball doesn’t match the surface you might as well go home lol. Hi Michael. You bring up very good points. Today’s game is about subtleties as I mentioned and you brought up the point about the right ball at the right time. Yes, you are right that this is a critical component of the game. I guess it can be detrimental when a possibly competitive bowler simply can’t afford an arsenal. I don’t necessarily agree that bowling has priced itself out of it’s demographic, but I can’t say that I’ve studies the economics of it closely. I’ve found that the better bowlers have found a way to get their hands on an arsenal whereas the occasional bowler doesn’t bother. A set of golf clubs easily costs as much as several bowling balls. I don’t know if it’s the same demographic but it’s a comparison. Any sport that requires equipment is costly and I don’t think bowling equipment is outrageously priced for the most part. There’s a lot to this story. I’m sure I don’t have all the answers but it’s a good discussion to be sure. Not buying the argument that equipment has trashed the game. At the end of the day at the elite levels, it’s about competition. Dedication and practice will get you better scores and you will knock down more pins and you will win. The technology and equipment is just another aspect to master. I have bowled a 300 in a rec league and a 300 on a sport shot. I treasure them both as much. In fact the rec league 300 was more important to me, because I was bowling w/ my work buddies and colleagues. I wanted that one much more and was much more nervous. As a fan of bowling I don’t care what my score is, I want to beat my opponent. If I win 151 to 150 I win. We are bowling on the same lanes. Sure it’s fun to bowl the 300 so you can brag to your relatives. But high scores do not keep me coming back to the lanes. Nope. It;s more the feeling of a shot well thrown that brings me back. There is just something special about puring a shot. Manhatten Rubber, AMF 3 Dot, Columbia Yellow Dot, LT-48, AMF Angle, Excalibur, Columbia Messenger, Storm Virtual Gravity. Whatever. A good shot is a good shot with any ball. Q (page 43): “There’s a lot of talk today about the sport of bowling being broken. You hear the argument about [bowlers] averaging 220 or 230 on a house shot, so they think they’re as good as the pros. Do you think that they are as good as the pros?” Baker, in part, answers that the real problem is the old guys who don’t want to change, but can’t put the toothpaste back in the tube when it comes to reactive resin balls. But the question itself is very revealing in that it shows how many folks mistakenly equate League Bowling with Pro Bowling, two totally different venues. For example, the house pro who rationalizes that pro-bowling’s biggest problem is too many 300s being scored in the THS leagues, then gets irritated when it’s pointed out there aren’t any connecting dots in the reasoning. Granted, in any sport the amateur competition levels are sources of development for higher level talent. Nevertheless, for those that have forgotten, we have to keep in mind the idiom about a big fishes in little ponds and their false presumptions of being big in the oceans. In other words, the difference in problems at bowling’s amateur level are not the same as those at the pro level. Big house cats are not panthers. I would agree that they are two different beasts. I think the amateur level can certainly support the existence of the pro level but I think the issues are different. There seems to be so little incentive for bowlers to come up through high school and college with the hopes of being professional bowlers. That’s a top down issue. If bowling professionally can be made more lucrative, it will be more desirable for youth. There’s also the basic perception of the sport. I would want the top bowlers to be physically good athletes. It would also help the image. From the bottom up, we also need to attract new bowlers to bowl for leisure. 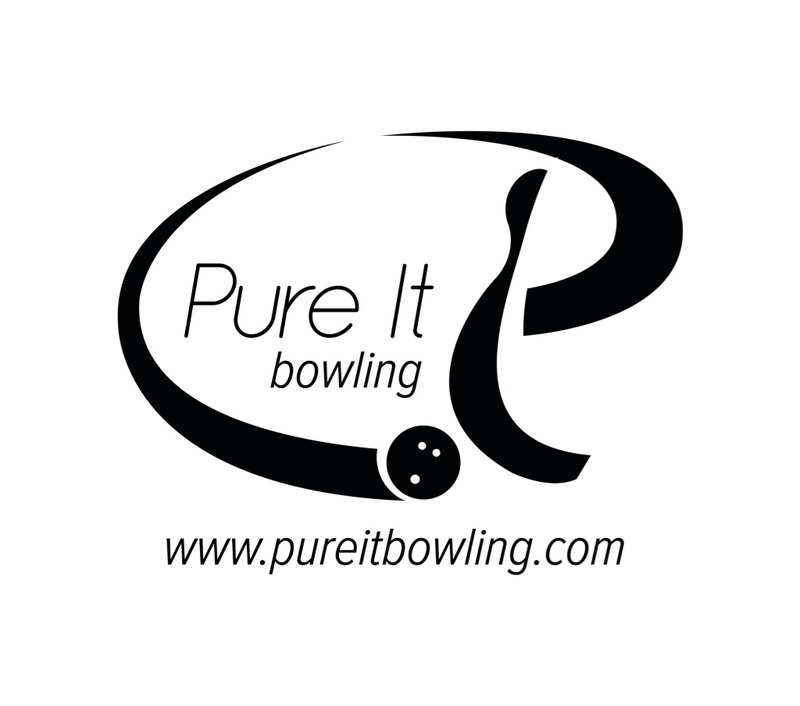 If people aren’t bowling “for real”, they will not pick up the sport. Modernizing the image of the game will bring people in but they need to see more than the cosmic bowling or whatever. I don’t have the big answer. Just some thoughts.